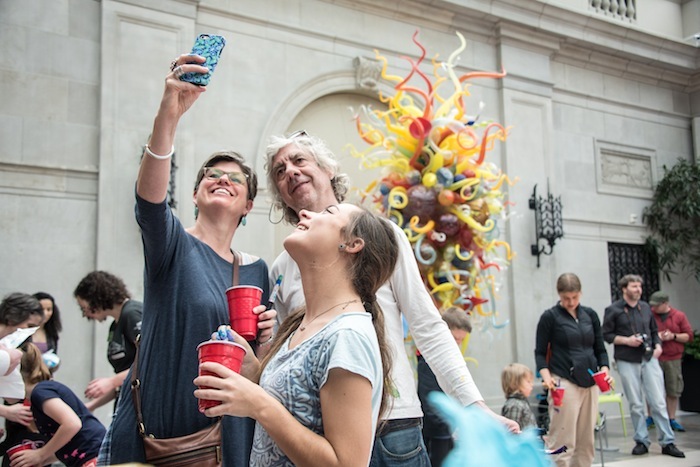 Bring your friends and family and enjoy PNC Free Sundays at Columbus Museum of Art. Be inspired by current exhibitions such as The Sun Placed in the Abyss, Bodies@Work: The Work of Ruben and Isabel Toledo, Aminah’s Presidential Suite, and Ronald Wimberly Graphic Novelist Exhibition. Explore the new Walter Wing, play in the Wonder Room, or build a puzzle together in a gallery. Then share your memories with us using hashtags #PNCFreeSundays and #myCMA. Throughout 2016, PNC is providing support for the Columbus Museum of Art’s Free Sundays through the PNC Foundation. A grant from the PNC Arts Alive initiative provides free general admission for museum visitors, each and every Sunday. PNC Free Sundays increase accessibility for all residents of Central Ohio, regardless of their ability to pay. We are pleased to be able to continue this gift to the community through the support of PNC.